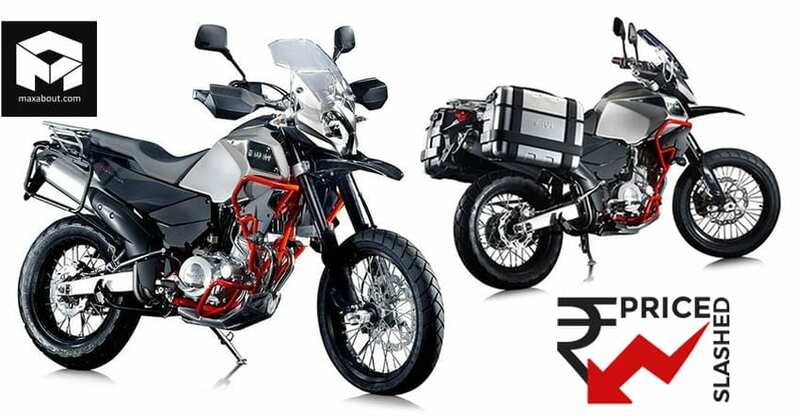 SWM Superdual T is now available with a discount of INR 80,000 for the first 250 buyers. The offer is applicable till March 31, 2019. The bike’s top model was officially launched in India last year in October with a price tag of INR 7.30 lakh. 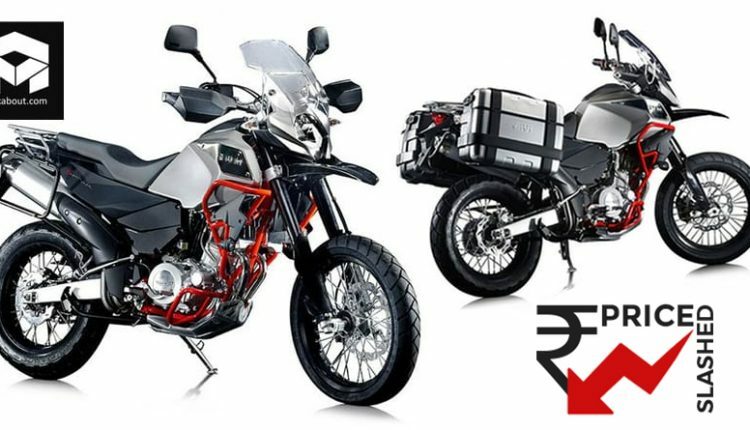 After the price cut, the adventure motorcycle is now available for INR 6.50 lakh (ex-showroom). The brand retails through Kinetic Motoroyale channel and rival none other than Kawasaki Versys 650 and Suzuki V-Strom 650XT in the country. 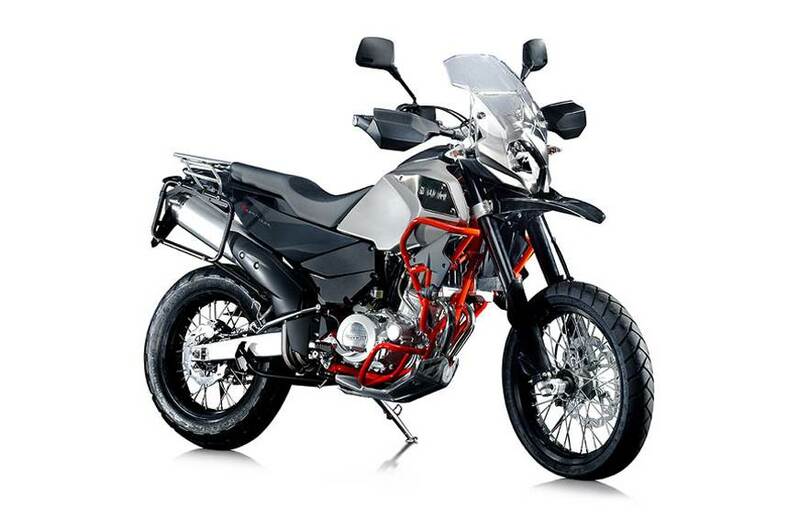 The pricing and list of available equipment make the new SWM Superdual T a better deal than both the rivals. The lack of touch-points by Kinetic may not let the brand flourish at a rate similar to the other two well-established options. Superdual T was first showcased in India at an adventure motorcycle event in Pune. The 600cc, single cylinder engine comes with dual overhead camshafts and liquid cooling, producing 54.3 hp of maximum power and 55 Nm of torque. The engine comes mated to a 6-speed gearbox. Apart from the powerful and unique engine, Superdual T is available with USD front forks supporting 210mm of overall travel. If this feels just normal, you can consider astonishing yourself with the rear adjustable monoshock that supports 270mm of travel. The front wheel measures 19-inch while the rear on use is 17-inch, both sides featuring spoke wheels for maximum action. ABS is available as standard on the motorcycle. 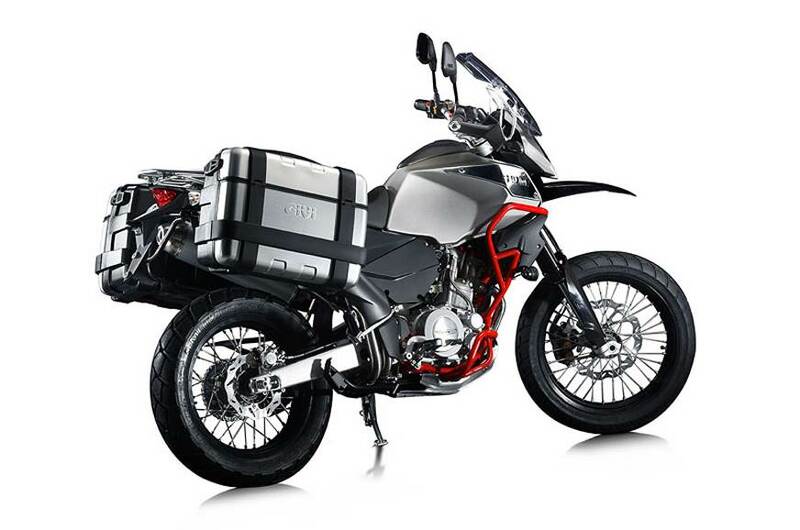 SWM uses a large 19-litre fuel tank to claim impressive riding range for their first ever product in India. The best part for Superdual T is the low 169 kg dry weight while worst is the seat height of 898mm, making it practically difficult for an average Indian rider to handle the same in heavy traffic. The 4-inch of ride height increase than an average bike is really beneficial when considered from the off-road point of view. The brand will also offer long list of accessories that enhance the no-tarmac experience. You May Like: Price Drop: Volkswagen Polo GTI Now Available for INR 19.99 Lakh!